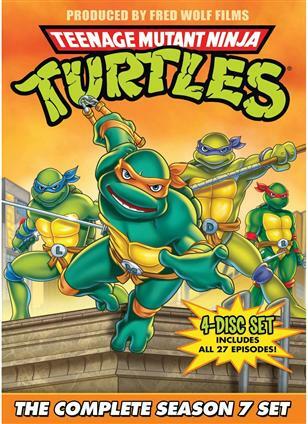 Celebrate the 25th anniversary of the TEENAGE MUTANT NINJA TURTLES with all 4 Classic Season 7 slices on DVD in this Complete Season 7 Set! It’s been 25 awesome years (whoa!) 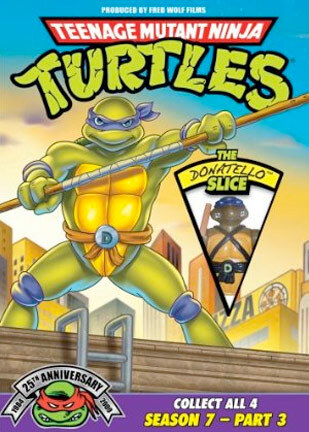 since four turtles fell into the sewers and were transformed into radical human-like creatures. 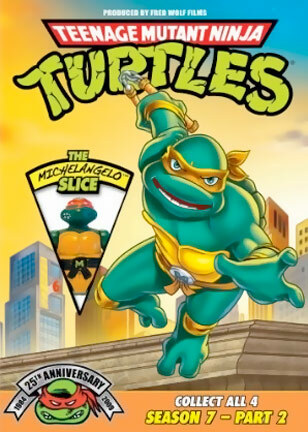 Now the classic TV series about their gnarly adventures has gone on to be a righteous hit with fans everywhere, making “Cowabunga!” a household word. 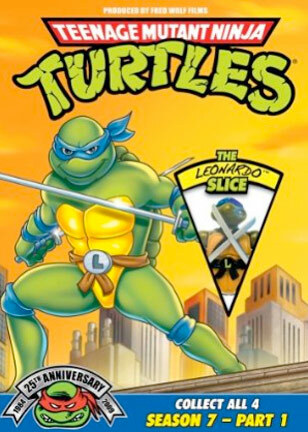 This season originally was released as four separate “slices” each containing a portion of season 7. 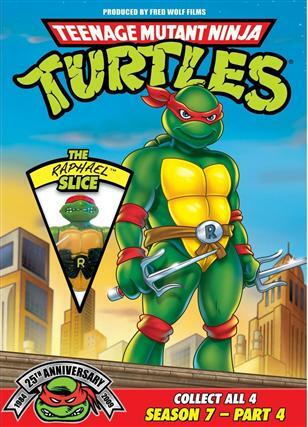 After all four were released a single set was released with all four “slices”.